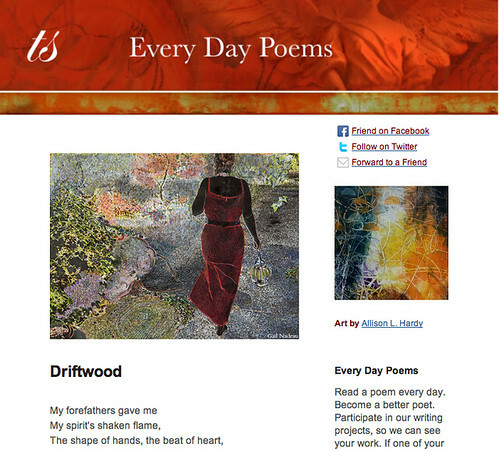 The two poetic voices featured today come at poetry from decidedly different directions. Susan Lewis, in How to be Another, exclusively uses the prose poem form, while Katharine Hoerth centers her poems, in Goddess Wears Cowboy Boots, in a specific geographic region. Say the end is the beginning. Say this is a matter of life and death. Say America is just another bubble. Say a thing or two about milkweed or super-heroes, vibrations or delicious speculation. Say the proof is in the pudding. Say each moment has a life of its own. Say you never want to blink. Say you sweet-talked fear to burrow for this moment. Say you can’t imagine another scenario. Say you’ll pay attention. Say there’s help on the way. Say there isn’t. Say what you’d rather not. Say what you please. Just promise to listen. The poems in How to be Another are divided into four sections – “i.e., ” “e.g., ” “Rx, ” and “viz.” The collection is thought-provoking, each poem offering a different slant, a different view on that which we often find commonplace. The 75 poems by Katherine Hoerth in Goddess Wears Cowboy Boots (which should win a prize for best poetry title of the year) are rooted in childhood and East Texas, and yet surpass being classified only as “regional poetry.” Some of the poems tell stories, and especially those about childhood and its memories – catching crawdads with other children; grasshoppers attracted by canna lilies; a high school football game; sacking groceries at the local supermarket. that’d hold my weight so I could be alone. the flapping wings of startled mockingbirds. to fill, like it was built for someone else. deep maroon just for my tongue to taste. Some of what Hoerth in Goddess Wears Cowboy Boots describes is surrounded with fondness, but there are the uglier, more difficult issues and events. She casts a sharp, practiced eye on good and bad together, creating a collection (for a goddess, even a human one) that has depth and texture. Hoerth is also the author of a collection of short stories, The Garden Uprooted, published in 2012. I hope to see more of her poetry. Lewis was interviewed this past March by Blotterature on writing and where she finds inspiration. Photo by Donnie Nunley, Creative Commons, via Flickr. Post by Glynn Young, author of the novels Dancing Priest and A Light Shining, and Poetry at Work. Glynn, your reviews are always enticing to seek out these books and read. I will gladly give up a movie or a bottle of fine wine to afford a good book of poetry. What a choice poem to introduce Susan Lewis. All of us talk to ourselves, so often it is rhetorical. We “what if” ourselves; we admonish ourselves; less frequently than we should, we praise ourselves. Is Lewis saying, if we listen, it will pause us to consider what, before that moment, was mere chatter? And listening transforms us. Hoerth, touches on a subject dear to me, how we survive being small for what seems like an eon. The world of The Fig Tree captures the worlds children create in which to survive with presence in a universe of largeness. Tonight it is ice tea. Someone from Amazon will go see Age of Adeline while I eagerly await these two. I think I may have the better deal. Thanks, Glynn.